As October nears its end, the lows in Nashville reach brisk temperatures in the mid-40’s. Vanderbilt Football’s season is beginning to wind down, while Vanderbilt Soccer prepares for their postseason run. Winter is coming, which means basketball season is upon us. A new season means a fresh slate; a chance to set new goals and expectations. This year, however, is particularly new for head coach Bryce Drew’s Commodores. 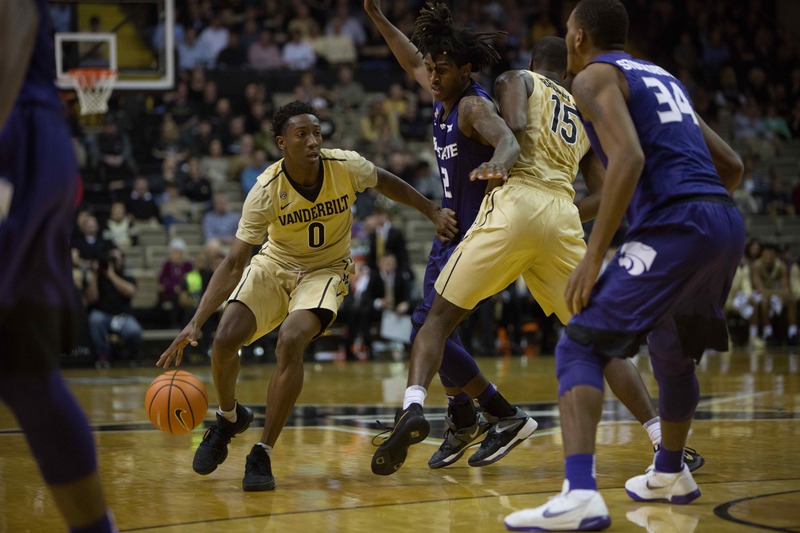 In the past year, Vanderbilt’s roster has experienced a massive upheaval with the graduation of Jeff Roberson, Riley LaChance, and Matthew Fisher-Davis, along with the transfers of Payton Willis, Djery Baptiste, and Larry Austin Jr. Only six of the 12 players to take the court last season for the Commodores have returned. That said, Bryce Drew has been given more than enough talent to work with: five-star freshmen Simi Shittu and Darius Garland will proudly sport black and gold, alongside four-star freshman Aaron Neismith, while transfers Yanni Wetzell and Matt Ryan are finally eligible. Drew will take advantage of his young, talented roster with a deep rotational approach. While the starting five has not yet been determined, the backcourt is all but penciled in: the freshman phenom Darius Garland will take the floor alongside a slashing sophomore in Saben Lee. In his first year of SEC competition last season, Lee tore apart opposing defenses with his on-ball quickness. He’s used to taking the ball up the court; after all, he is a point guard. This year, however, Lee will be forced to share the wealth with another point guard in Garland. How will Drew utilize two point guards, especially in the same lineup? According to Drew, the two are learning to play in tandem even before the season tips-off. Drew continued to note that speed will be a big factor in the Commodore offense thanks to the two guards. In half-court sets, he expects Garland to do most of the ball-handling work, but Lee will get his chance to shine on fast breaks. He hopes to see Lee as one of many players capable of handling the length of the court for quick baskets. Lee exceeded expectations last season, but very few of his baskets came from behind the three-point line. He shot roughly 30% from behind the arc, a number that must improve when playing alongside a player like Garland. Lee recognized Garland’s ability on the ball, giving plenty of space for players off-ball. Many of those opportunities he pointed out will come behind the arc, so Lee assured the media that he has worked on his shooting in the offseason. His ability to catch and shoot at a quicker, more accurate rate has been a focus of his ever since Garland committed to Vanderbilt last fall. The two have made plenty of progress, but still have a lot to learn about each other. Lee spoke about their potential as a unit, and how they’ve utilized their time out of practice to reach that potential. Throughout this transition, late-night shoot-arounds and film sessions have helped them understand their own tendencies. Similarly, Garland knows how lethal a one-two punch they can be. Bryce Drew’s offense has an unrivaled amount of untapped potential this season. With these two talented guards leading the charge, defenses could struggle to contain the rest of the team. This year, the offense will once again have a size factor in Wetzell and Ryan. Despite being listed at 6’ 10” and 6’ 8” respectively, the two big men can shoot with the best of them. Of course, there’s also the talented Shittu to round out the versatile, balanced attack.